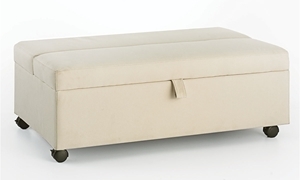 Enjoy your living room to the fullest with a versatile accessory, like this sleeper ottoman! At nearly four feet wide, this ottoman is perfect for use as a footstool or upholstered cocktail table, and can be repositioned with ease thanks to the locking casters beneath. Its light blue LiveSmart fabric repels stains, making this piece a worry-free addition for homes with children or pets. 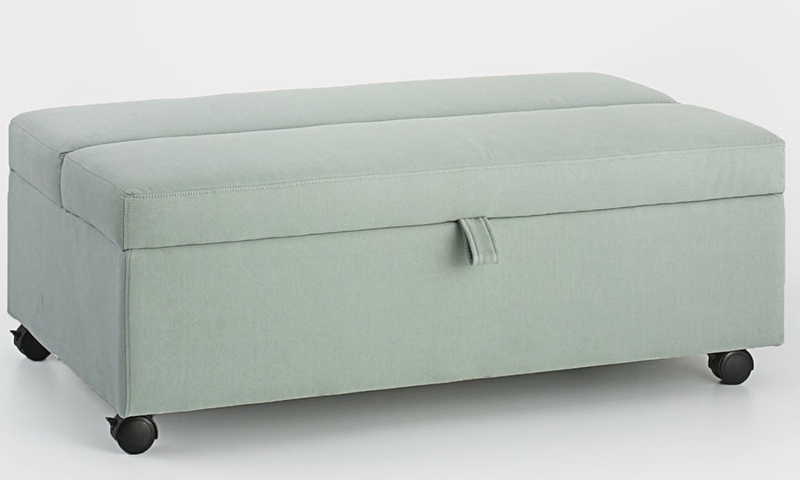 The twin-size gel foam mattress inside this ottoman offers a comfortable space for an overnight guest to snooze, making it great for small spaces like apartments.